Model Predictive Control (MPC), the dominant advanced control approach in industry over the past twenty-five years, is presented comprehensively in this unique book. With a simple, unified approach, and with attention to real-time implementation, it covers predictive control theory including the stability, feasibility, and robustness of MPC controllers. The theory of explicit MPC, where the nonlinear optimal feedback controller can be calculated efficiently, is presented in the context of linear systems with linear constraints, switched linear systems, and, more generally, linear hybrid systems. Drawing upon years of practical experience and using numerous examples and illustrative applications, the authors discuss the techniques required to design predictive control laws, including algorithms for polyhedral manipulations, mathematical and multiparametric programming and how to validate the theoretical properties and to implement predictive control policies. The most important algorithms feature in an accompanying free online MATLAB toolbox, which allows easy access to sample solutions. 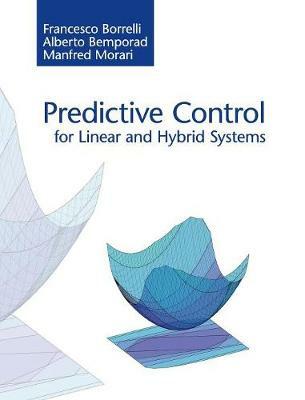 Predictive Control for Linear and Hybrid Systems is an ideal reference for graduate, postgraduate and advanced control practitioners interested in theory and/or implementation aspects of predictive control.